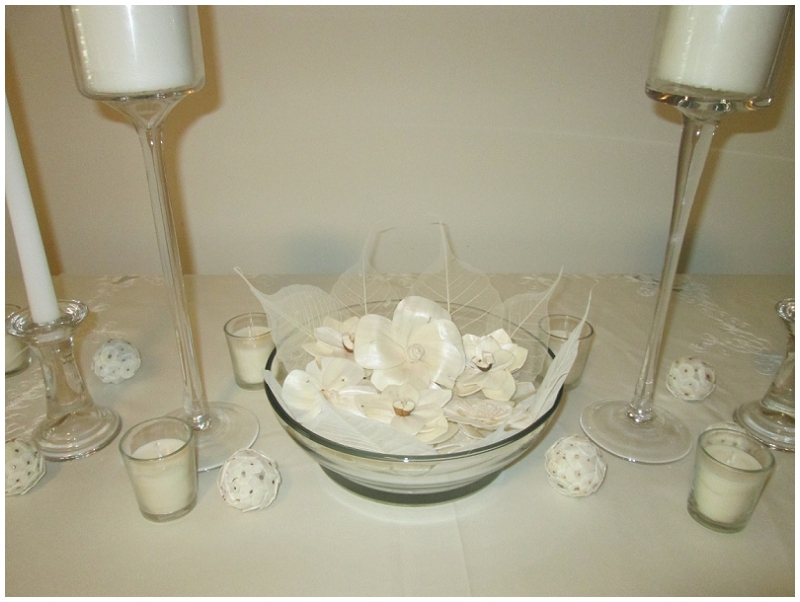 Charleston Wedding Planner Ivory tablescape with candles and sola flowers. We like the proportions of the décor before adding any of the china or cutlery. 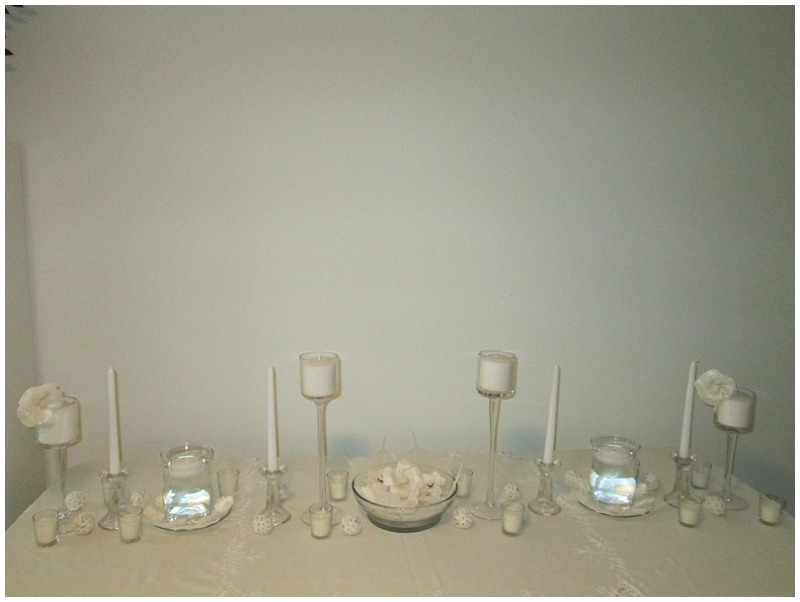 Charleston Wedding Planner closeup of the decor including pillar candles, votive candles, taper candles, and floating candles along with the sola flowers and sola balls. Closeup of the sola flowers which are formed with balsa wood and are typically cream in color and have a unique soft texture. 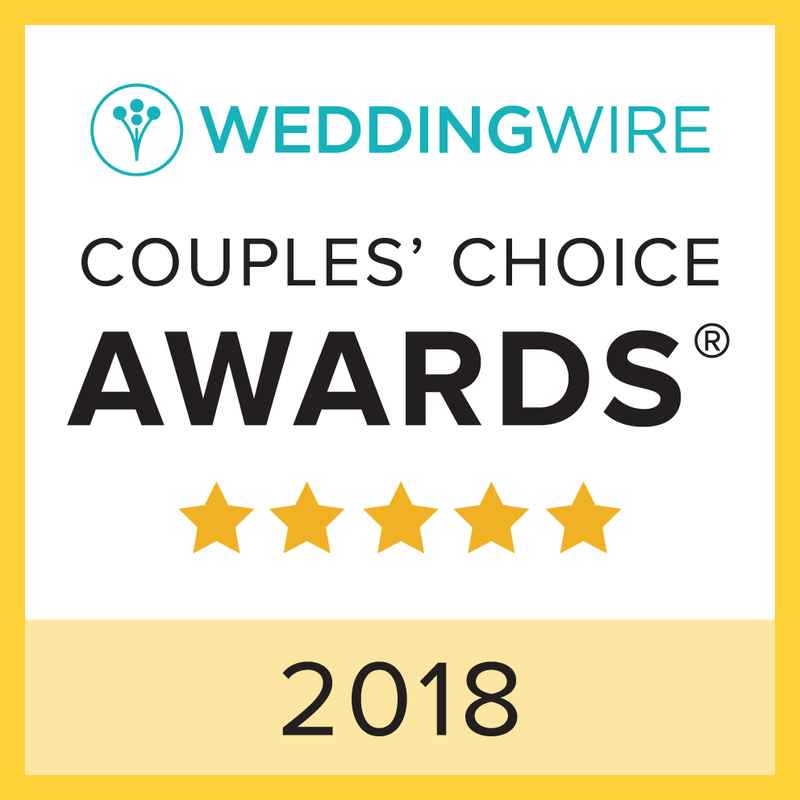 Not only are they a unique type of décor, but they are also reusable for those brides who are concerned about being environmentally conscious. 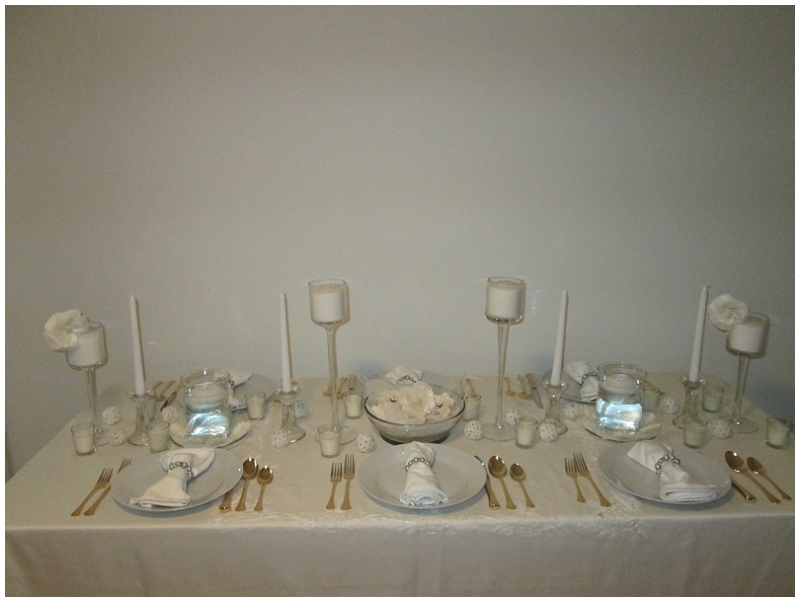 The next step was to add the china, cutlery and napkins. 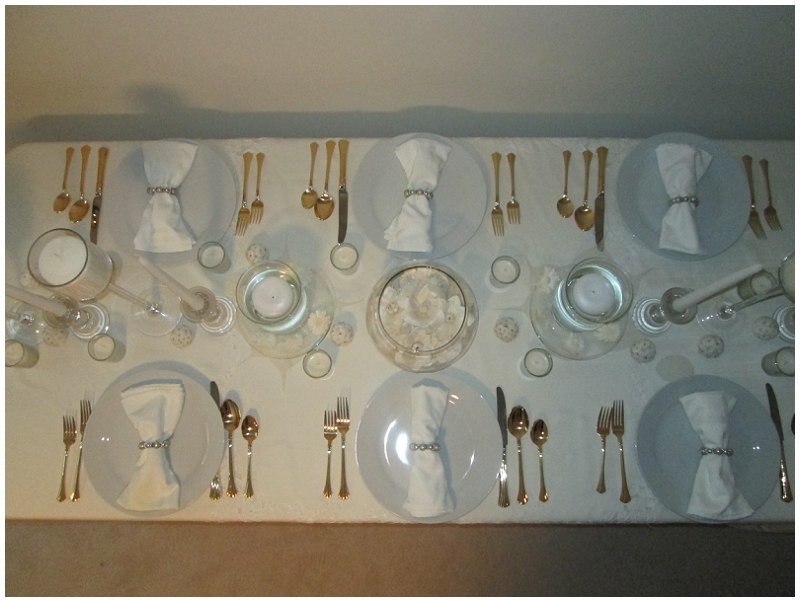 We decided on gold cutlery as we thought the color went extremely well with the ivory. Gold cutlery is also extremely popular right now. 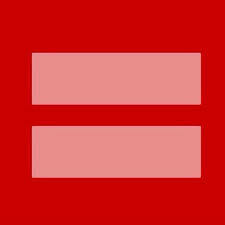 From this angle it looks good. From this angle it is apparent that the centerpiece is too large to comfortable fit in between the two dinner plates. 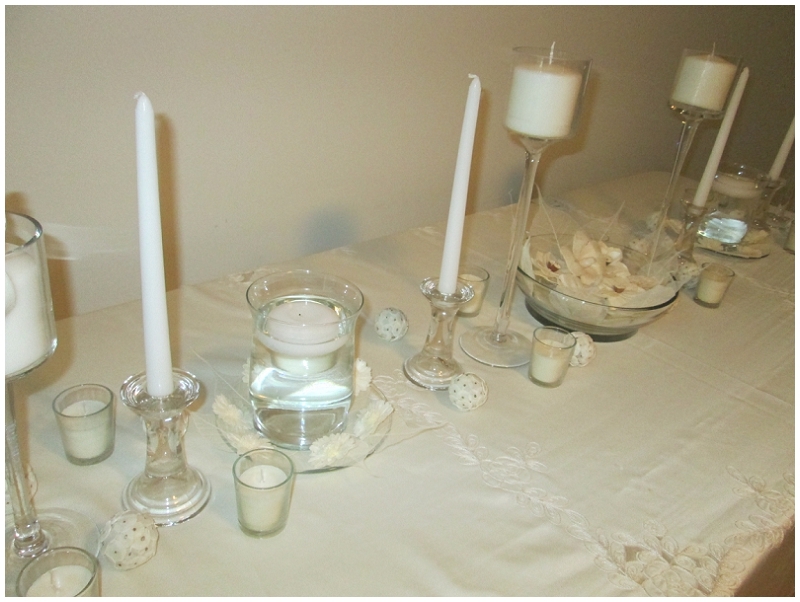 We amended the centerpiece to allow more room as well as moving the floating candles so that they were not in between the dinner plates. 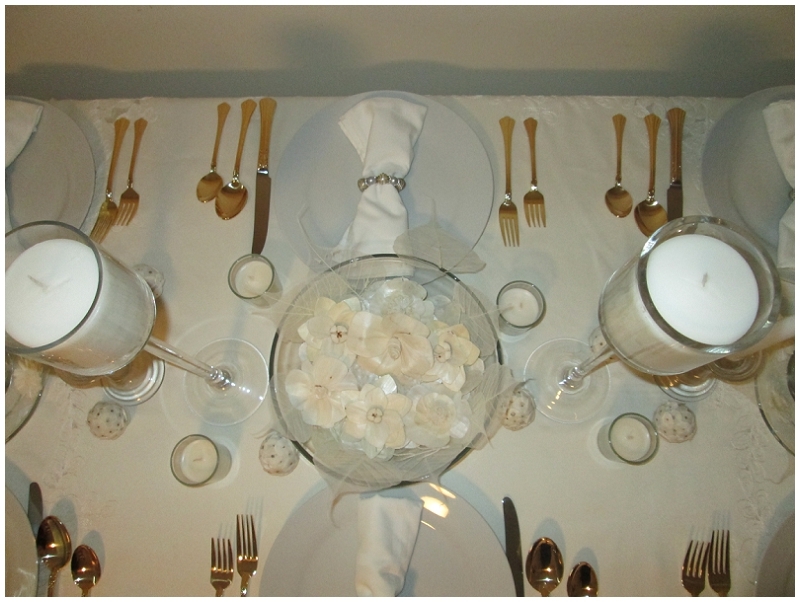 From this view we can see that the table still looks beautiful but there is more room in between the guest plates. As a Charleston wedding planner I would recommend brides who are mixing their décor rather than having one centerpiece, do a test run or have the florist do a test run to ensure that the table is not too crowded. This is particularly important for brides who are having multi-course plated meals and will be using a variety of cutlery and/or barware for wine.